Ghahremani, H., Pishvaie, M., Vossoughi, M., Seyfkordi, A. (2009). Optimization of A Fed-Batch Fermenter Producing Bakerâs Yeast Using Simulated Annealing Method. Iranian Journal of Biotechnology, 7(3), 157-165. Hosein Ghahremani; Mahmood Reza Pishvaie; Manouchehr Vossoughi; Ali Akbar Seyfkordi. "Optimization of A Fed-Batch Fermenter Producing Bakerâs Yeast Using Simulated Annealing Method". 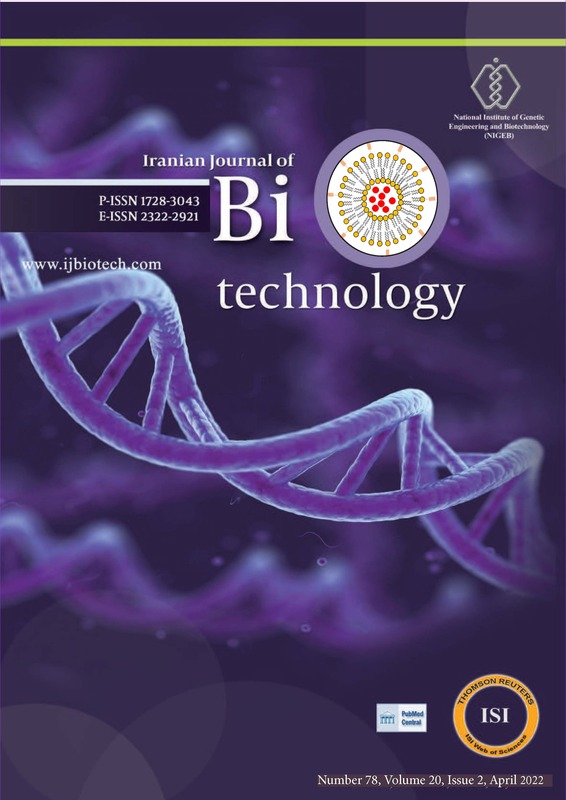 Iranian Journal of Biotechnology, 7, 3, 2009, 157-165. Ghahremani, H., Pishvaie, M., Vossoughi, M., Seyfkordi, A. (2009). 'Optimization of A Fed-Batch Fermenter Producing Bakerâs Yeast Using Simulated Annealing Method', Iranian Journal of Biotechnology, 7(3), pp. 157-165. Ghahremani, H., Pishvaie, M., Vossoughi, M., Seyfkordi, A. Optimization of A Fed-Batch Fermenter Producing Bakerâs Yeast Using Simulated Annealing Method. Iranian Journal of Biotechnology, 2009; 7(3): 157-165. Modeling of fermentation processes is so complicated and uncertain; therefore it is necessary to provide a robust and appropriate dynamic optimization method. In order to obtain the maximum amount of yeast (Saccharomyces cerevisiae), the bioreactor must be operated under optimal conditions. To determine substrate feeding in a fed-batch bioreactor, a simulated annealing (SA) approach was examined. The optimal glucose feed rate profiles were computed by a stochastic and deterministic problems for various initial conditions to investigate their effects on optimal operation of the fed-batch bioreactor. Results declared a proper capability of SA method for determination of optimal feeding policies in fermentation processes. The major advantage of the simulated annealing is its capability for handling the problems with model mismatches. Finally, an open loop sensitivity analysis of SA optimization method was tested by a mathematical model to note the effect of some key variables in the subsequent optimization study on the fermenter. Findings show slight difference between trends, thus the SA algorithm is an efficient, robust and satisfactory acceptable. Biochemical processes produce high value end products like vitamins and antibiotics and bulk products such as ethanol and baker’s yeast. The traditional and large scale beer and ethanol manufacturing processes based on using Saccharomyces cerevisiae (also called Baker’s yeast). Novel applications of S. cerevisiae have been developed during recent years. An example of its new application is insulin production for diabetics. S. cerevisiae like most other yeasts multiply by budding. Its production is carried out in a fed-batch mode in which a feed stream containing substrate and/or nutrients is fed into the fermenter during operation to gain higher performance levels, as compared to the batch mode. Numerous of researches have been carried out by previous workers to develop suitable, fast and robust optimization techniques for these types of fermentation processes. Most of the optimization studies on fermentation use detailed theoretical techniques (Chen et al., 2004; Pushpavanam et al., 1999; Johnson, 1987), while a few investigations have reported the use of direct search techniques (Iyer et al., 1999). Often, these techniques require excellent initial predictions for either control variable trajectory or unknown boundary conditions to achieve convergence. Additionally, the switching structure (feeding sequence) has to be deduced correctly. Conventionally, dynamic optimization of bioprocesses (i.e., fermentation) is carried out by applying of deterministic models, using the gradient-based methods. As usual the deterministic model is described by a set of differential equations derived from mass balances. Unlike the stochastic process models, the deterministic models have no uncertainty in the model. The gradient-based optimization algorithm, finds the optimum point with respect to the first differentiation and second differentiation. The Calculation of the differential equations for complex systems is very complicated and sometimes becomes impossible. Common techniques that are based on mathematical optimization include Greens theorem and Pontryagins’ maximum principle. These methods have, however, limitations concerning the number of control variables and constraint handling and model complexity. The gradient-based algorithm may also get trapped at a local optimum in nonlinear systems and this is a major disadvantage of such optimization algorithms. One of the main advantages of the presented optimization approach (SA) is its ability to optimize a non-differentiable complex model. (Ronen et al., 2002). The feeding profile of a fed-batch process was determined using a non-gradient base optimization approach. This kind of optimization is very effective on complex systems, but need extensive computational calculation (Modak, 1988). Due to the lake of an exact mathematical model for the fermentation processes, the use of the artificial intelligence based optimization techniques is needed. Genetic Algorithm (GA), neural network, fuzzy logic and evolutionary algorithms such as simulated annealing are some of intelligent methods which belong to this class of optimization methods. The recent researches on the optimization problems are performed by applying of the intelligent techniques. The results showed that there are good agreement between the experimental data and those obtained from the intelligent techniques. (Cheng and Wang, 2008; Valencia et al., 2007; Renard et al., 2006; Faber et al., 2005; Ronen et al., 2002; Hirafuji and Hagan, 2000; RAO et al., 1996). In the present study, a developed optimization method is proposed for prediction of dynamic behavior of bioreactor. where KB=1.380650×10-23 m2kgs-2k-1 is the Boltzmann constant, and Z(T) is normalization factor, respectively. Where is a random number between [0, 1] and TAm is current annealing temperature. Steps with an increasing objective function are called up-hill steps. The procedure proceeds within the inner loop until a given number of evaluation cycles Nk have been made. The step length (i.e., search area) is considered as an adjustable parameter in the outer loop. During the progression of the algorithm, the step size is decreased in order to contain the search region around the current value of the objective (Faber et al., 2005). The SA algorithm chooses the step size so that the q ratio near to 0.5 (q-ratio is defined as the accepted to evaluate steps). The high q-ratio is so high it means that having long unnecessary computations. On the other hand, small q-ratio could only result in local optimum (Feehery and Barton, 1998). Where X, G, and E are the concentrations of cell mass, glucose, and ethanol, respectively. F is the volumetric feed rate; V, is the fermenter volume and GF is the glucose feed concentration. The specific rates, mG, mE, d, p, and h are summarized in Table 1. And kinetic parameters which were used in culture simulation are summarized in Table 2. The optimal feeding policy representing the best performance was computed for this system in three sets of initial and operation conditions which are given in Table 3. These sets of initial conditions were selected randomly for the computation algorithm so that the results were comparable to the referential results. After choosing appropriate model and different random initial conditions and comparable with previous literatures, a computer program was written. Then in summary the simulations were done for various operational sets of Table 3. The results are shown in Figures 2-5. Some parameters are necessary to initializing of SA method; these parameters are given in Table 4. In addition the number of computing loop and trails and errors to become converged is presented in this Table. The optimal glucose feed rate profiles (Figs. 3A, 4A, 5A) are computed for various initial conditions to investigate the effect of initial conditions on the optimal operation of fed-batch backer yeast culture. For all cases the internal parameters of SA do not change, whereas initial condition for differential equations changed. The discrepancies between the graphs are natural because these graphs have obtained in different conditions. The next issue to be addressed in this work is whether there is a scope for improving the optimization algorithm robustness. The proposed model input variables such as kinetic parameters may be changing, so need to refine the model data which were used in the optimization procedure. None of unwanted problems take place when a good optimization method was applied. A sensitivity test was studied to discus about the effect some key variables identified as the decision variables in the optimization results; some of this variables are K1 and K2 which affect specific growth rate on glucose (mG) and K5 which affects specific growth rate on ethanol (mE). The values of each of these variables were varied within a reassigned domain (10% increase and decrease) such as presented in Table 5, while the others were kept constant, to note the effects of variation on some calculated optimum profiles of initial condition I. outcome of entire analysis is presented in Figure 6. Evaluation of iteration of SA is shown in Figure 2. On the Figure 2. The objective functions which are accepted as the new points indicate that, metropolis acceptance decreases with rising number of evaluation, which definitely shows the impact of the annealing temperature on the metropolis value. As it is indicated from the Figure 2, it is likely that during the simulation process target equation falls in the local optimum amount. But the merit of the SA method is that it does not get stuck in these conditions and searching function continues until the inequalities conditions (equations 7, 8) are satisfied and the global optimum is found. An important case which must be noticed is that the amount of the initial guess for next time step is the answer of previous time. Therefore, the significance of the choice of the first guess temperature and the initial values of the other internal parameters in the SA are taken into accounts in order that by the lower number of calculations we could arrive in the global optimum in conclusion according to Table 4. The optimal glucose feed strategies for initial conditions I (low cell mass and glucose concentration) and II (higher cell mass concentration) are shown in Figures 3 and 4, which indicate the effects of the cell mass concentration. According to these results it is necessary to start the yeast fermentation process with a high glucose concentration (2-3 g/l) when the cell mass concentration is low. The results of the simulation in Figures 3B, 4B, and 5B show that by reducing the initial amount of the cell mass that was injected into the bioreactor (the case of I, II instead of III), the scope of cell mass during the fermentation lessens, and the ultimate integral amount of yeast which was produced in the bioreactor in this case is lower than the other conditions. With the initial changes in conditions from I to II and to III and according to the Figures 3C, 4C, and 5C, it is indicated that the peak related to the glucose profiles is getting to removed by the increase both of the initial amount of glucose and cell mass concentration in the simulations. Consequently, what remain are the steady trends of glucose profile reduction through the time. Ethanol is affected by these variations, in parallel. And its time range is approximately halved. Yeast cells consume the accumulated ethanol so the ethanol concentration decreases steadily. Thus, in an optimal fed-batch operation yeast cells consume both glucose and ethanol for their growth simultaneously, unlike sequential utilization in batch cultures. Figure 5A shows the optimal feed rate profile at the initial high levels of glucose (case III, Table 3). High glucose concentration eliminates the need for glucose addition; therefore, fermentation starts with such as a batch period. The glucose concentration decreases steadily until the singular hyper surface is reached. Therefore after this time increasing in the glucose concentration has no effect on the feed rate profile and the ethanol concentration. Feed rate at the primary times of case II, III reaches its maximum and leads to activation of constraint by equation 11.a. after approximately 3 h, ethanol reaches its maximum concentration and glucose vanishes. It leads to decrease in the feed rate culminating in constraint 11.a becoming loose. Figure 6 show that there is just a slight difference between the former profiles and the recent profiles obtained through consideration of the model mismatch. Of course, this little difference can not be so important because this occurs in the first or last growing stage of microorganism. And it should be remembered this delicate difference is a good reason to accept the robustness of the SA method. The optimal glucose feeding target for aerobic fermentation of S. cerevisiae in fed-batch mode was computed by applying an intelligent approach named SA. In order to investigate the effect of initial conditions on the optimal operation of culture, three various initial conditions were tested. The feeding profiles obtained for initial conditions I, II, III are similar to those obtained by Modak et al. (1988) previously. So the algorithm is capable of reaching global targets with the required computing accuracy. In comparison with traditional methods the main advantage of the presented optimization approach is its ability to optimize a non-differentiable complicated model. The sensitivity analysis of the SA optimization method was tested and resulting trends compared with the first obtained formerly in this research. Findings show slight difference between the first basic trends and the others, therefore the SA algorithm is sufficiently fast, robust and acceptable. Chen L, Nguang SK, Chen XD, Li XM (2004). Modelling and optimization of fed-batch fermentation processes using dynamic neural networks and genetic algorithms. Biochem Eng. 22: 51-61. Cheng HC, Wang FS (2008). Optimal biocompatible solvent design for a two-stage extractive fermentation process with cell recycling. Comp Chem Eng. 32: 1385-1396. Corana A, Marchesi M, Martini C, Ridella S (1987). Minimizing multimodal functions of continuous variables with the simulated annealing algorithm. ACM Transactions on Mathematical Software. 13: 262-280. Dutta JR, Dutta PK, Banerjee R (2005). Modeling and optimization of protease production by a newly isolated Pseudomonas sp. using a genetic algorithm. Proc Biochem. 40: 879-884. Faber R, Jockenh T, Tsatsaronis G (2005). Dynamic optimization with simulated annealing. Computer Chemical Engineering. 29: 273-290. Feehery WF, Barton PI (1998). Dynamic optimization with state variable path constraints. Comput Chem Eng. 22: 1241-1256. Hirafuji M, Hagan S (2000). A global optimization algorithm based on the process of evolution in complex biological system. Computer and Electronic in Agriculture. 29: 125-134. Iyer MS, Wiesner TF, Rhinehart RR (1999). Dynamic reoptimization of a fed-batch fermentor. Biotechnol Bioeng. 63: 10-21. Johnson A (1987). The control of fed-batch fermentation processes-a survey. Automatica 23: 691-705. Modak JM (1988). A theoretical and experimental optimization of fed-batch ferment at ion processes. Purdue University, Partial Fulfillment of the Requirements for the Degree Doctor of Philosophy. Modak JM, Lim HC (1987). Feedback optimization of fed-batch fermentation. Biotech Bioeng. 30: 528-540. Pushpavanam S, Rao S, Khan I (1999). Optimization of a biochemical fed-batch reactor using sequential quadratic programming. Ind Eng Chem Res. 38: 1998-2004. RAO SS (1996). Engineering Optimization Theory and Practice, 3rd edition, John Wiley and Sons. PP. 611. Renard F, Vande Wouwer A, Valentinotti S, Dumur D (2006). A practical robust control scheme for yeast fed-batch cultures-An experimental validation. Proc Control. 16: 855-864. Ronen M, Shabtai Y, Guterman H (2002). Optimization of feeding profile for a fed-batch bioreactor by an evolutionary algorithm. Biotechnology 97: 253-263. Valencia C, Espinosa G, Giralt J, Giralt F (2007). Optimization of invertase production in a fed-batch bioreactor using simulation based dynamic programming coupled with a neural classifier. Comp Chem Eng. 31: 1131-1140.